[map] On the WKRG-TV 5 tower, co-located with: WABD, WHIL and WRKH. 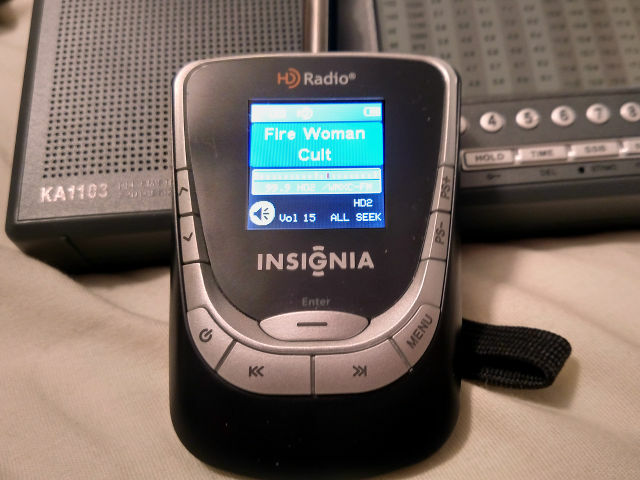 [Picture] Image showing the station's RDS text display, from a Sony Bluetooth portable headset, scrolling the Radio Text field. [Picture] Image showing the RDS text display from a Mazda OEM car stereo, with data for the translator carrying the HD-2's gospel format. 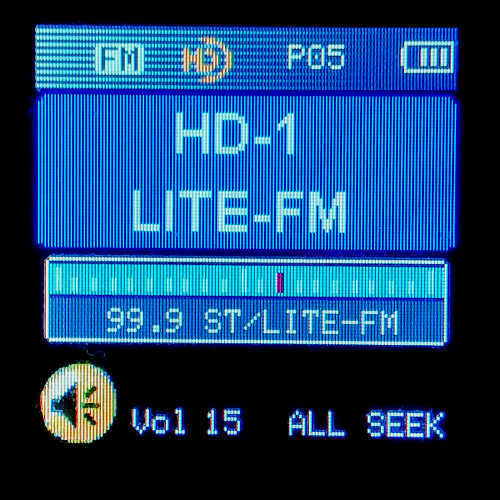 [Picture] Image showing the station's current PAD data for the HD-1 channel, showing the station name as "LITE-FM" during the Christmas music season. 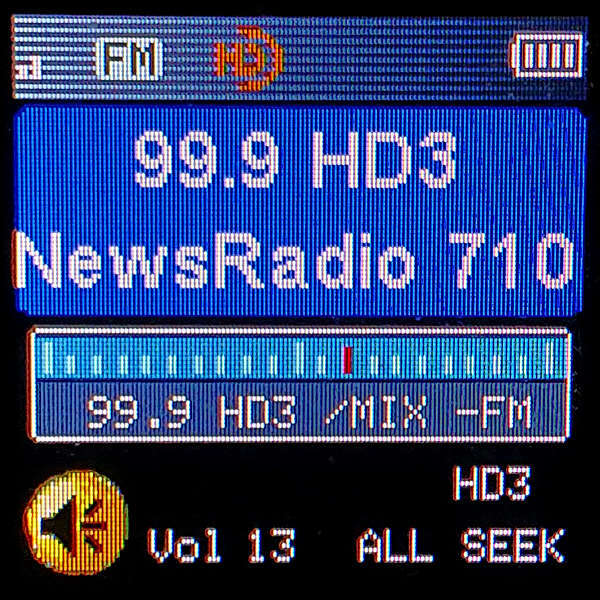 [Picture] Image showing the station's current PAD data for the HD-3 channel, with the "NewsTalk 710 WNTM" talk radio format that relays their sister AM station. 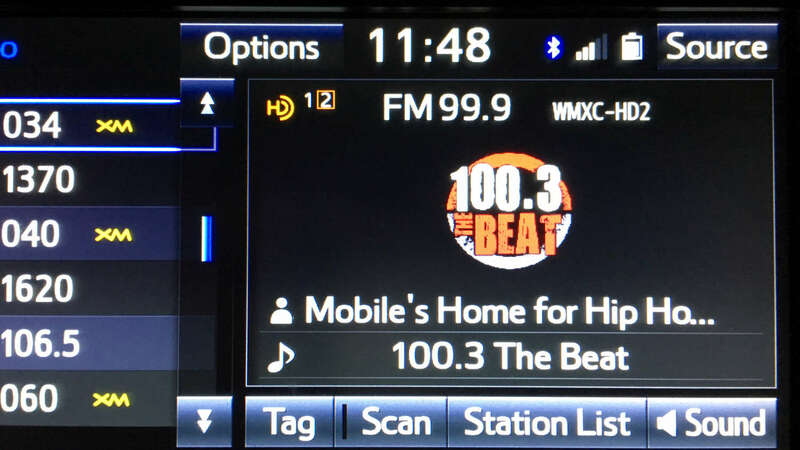 [Picture] Image from a Toyota HD radio showing the station's old HD Artist Experience/station logo on the HD-2 subchannel during the 100.3 The Beat days. [Picture] Image showing the station's old PAD data for the HD-1 channel. [Picture] Image showing the station's old PAD data for the HD-2 channel, "The Gulf Coast's Smooth Jazz Channel". [Picture] Image showing the station's old PAD data for the HD-2 channel during the stunting with W262BL, with a song from the "Slippery When Wet" hair metal format. 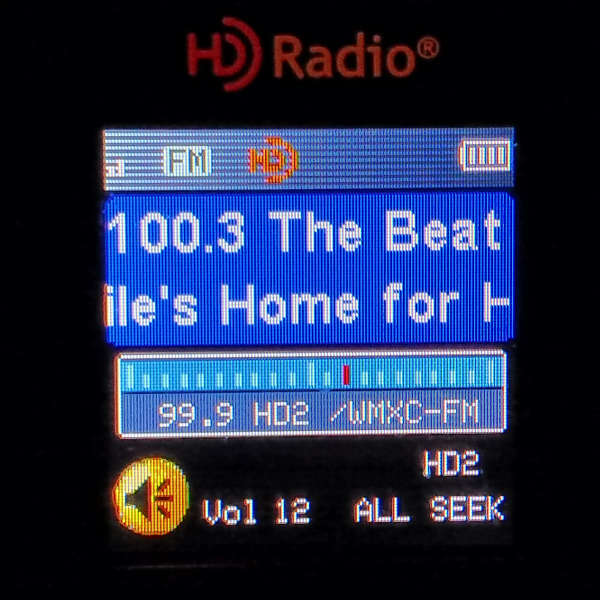 [Picture] Image showing the station's old PAD data for the HD-2 channel, with the "100.3 The Beat" urban format. 99.9 dates back to the 50's as WKRG FM, simulcast of WKRG AM 710. Went to seperate programming as beautiful music in 1965. A few years later, it was airing the Drake-Chenault "Hit Parade" format. In the late 70's, the station made an abrupt change to become the market's first Top 40 FM as "G-100". Audience shares went out of sight. In the 80's, they settled into the AC format and has been basically an AC station ever since, varying among soft, medium and hot AC. Calls have gone from WKRG-FM to WKRD to WMXC. 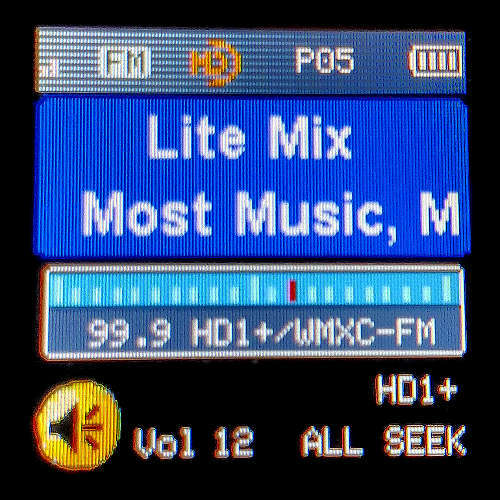 Has had the monikers Coast 100, FM 99 and Mix 99 before settling on "Lite Mix 99.9" for many years. In 2000, the station went from its regular format to all Christmas from after Thanksgiving until December 26th! Wow! (Note: That may have been unusual in 2000, but flash forward to 2010 and Christmas music was creeping several days before Thanksgiving. The full flip seemed to happen either Thanksgiving Day or the Wednesday before.) In the late summer or early fall of 2012 the HD was turned off; the smooth jazz from the subchannel migrated to WRGV in Pensacola. The HD returned with a slightly more robust signal on July 2013. 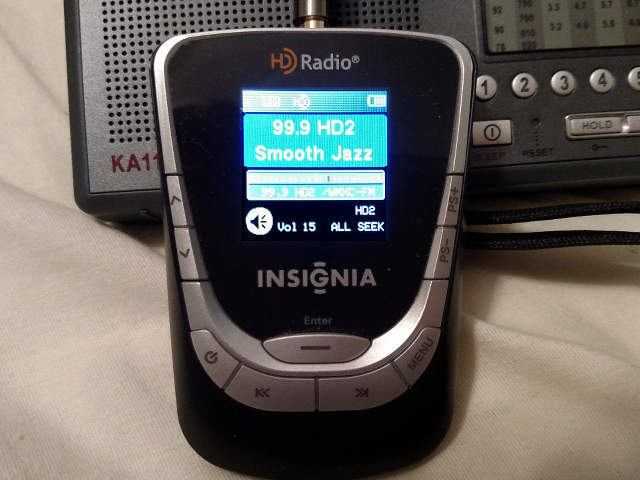 Smooth jazz is on the HD-2, same feed as WRGV and WKSJ. The HD2 here was used to feed a translator when it was on the WKRG-TV tower, but when the translator moved, iHeart added smooth jazz to WKSJ-HD2, displacing Foggy Mountain/classic country there. The translator returned to the air with smooth jazz from a new location off Shelton Beach Road in Mobile, relaying a slightly different feed of smooth jazz that was being broadcast by WMXC-HD2. On 25 July 2015 the format flipped from jazz to a wide ranging classic/variety hits format known as "Real Fun Beach Radio", which is also being heard in Panama City on a translator. That lasted for only one day, then the format appears to have changed to gospel with no liners or ID. The HD-2/translator combo has since changed formats every day or two, including stints with hair metal, oldies, classic country and dance. On Monday 17 August, the station broke with the rotating set of formats to play urban contemporary as "The Beat". This was apparently a harbinger of things to come, as the station debuted urban contemporary as "100.3 The Beat" on 3 September 2015. 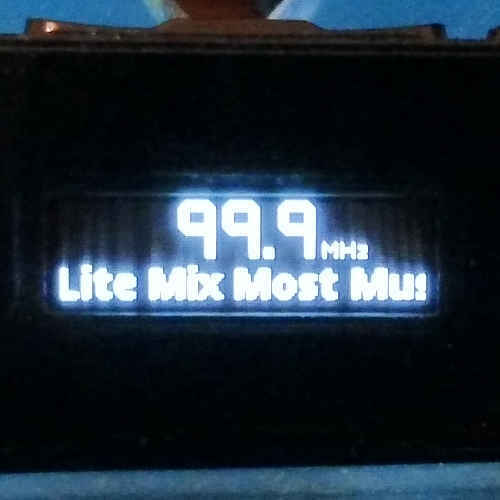 After Christmas 2015, the station went back to its normal adult contemporary format but with a slight re-branding, dropping the "Lite" from the "Lite Mix 99.9" moniker to just be "Mix 99.9". The station added a third HD feed in the third week of March 2016, to carry sister talk station WNTM. WNTM had previously been heard on WRKH-HD2 but was bumped for a sports-specific format in partnership with the University of South Alabama Jaguars. 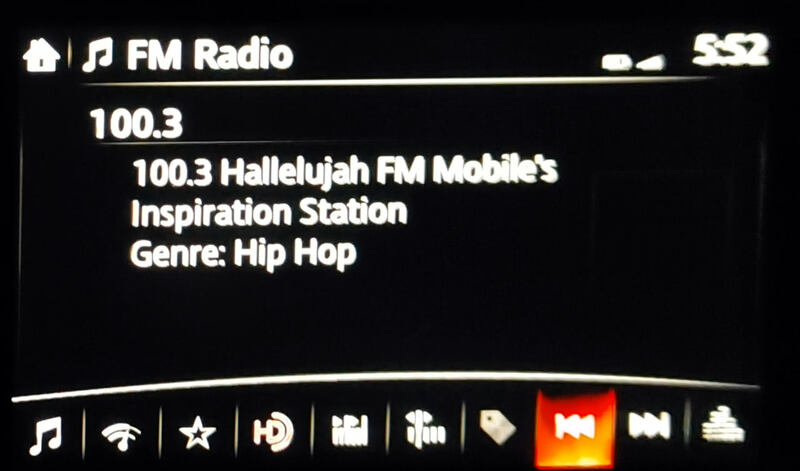 In late December 2015 the urban "The Beat" format on the HD2 began being heard on Pensacola's WRGV 107.3 MHz, and about a month later, the HD2 and 100.3 translator flipped to gospel as "100.3 Hallalujah FM".